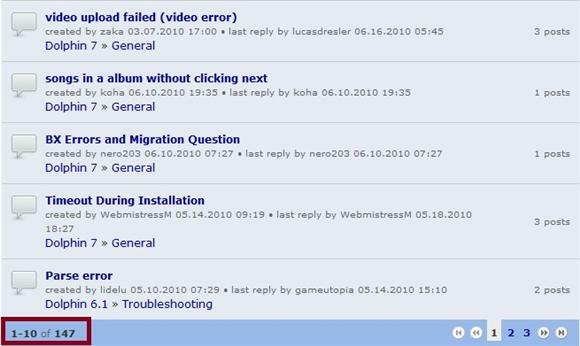 By default the Orca Forum is configured to display 10 forum topics per page. If you have more than 10 topics you will see pagination or links for page 2, 3, Next page, and Last page at the bottom of each page. If you would like to increase the number of topics per page to something like 20 or more before you see page 2, Next page, and Last page you can increase this fairly fast and easy. 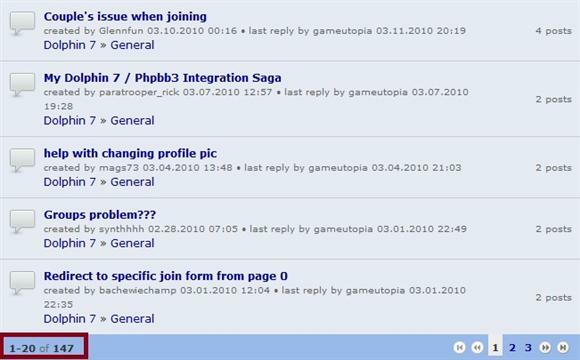 Some people have asked about more than 10 Orca Forum Topics per page and I thought I would post this for anyone that might be wondering about this. Then, open the file and look for the topics per page line. It is a small file and easy to identify. I wouldn't recommend setting it to high because you will end up creating more queries and resource usage. It shouldn't be a problem for 20 to 25 topics per page in most cases. But, if you set it to 100 per page and you get a lot of members and visitors viewing your forum it could amount to more strain/resource usage on your account especially if you are using a shared Boonex Dolphin Hosting environment. Simply restore the backup file you downloaded to your hosting account overwriting the current file.